WATERFRONT & THE GUNPOWDER! C'MON SPRING & BOATING SEASON! CALLING ALL WATER PEEPS!! 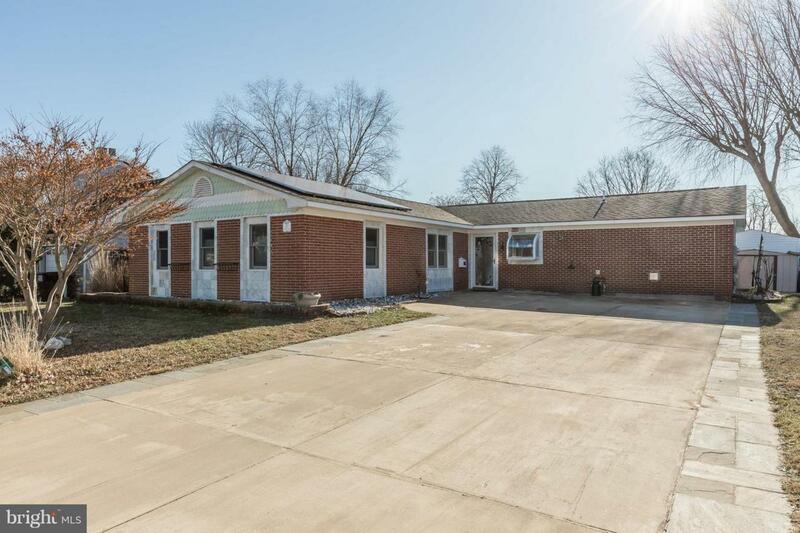 WHAT A GREAT RANCH STYLE ONE-LEVEL LIVING UPDATED HOUSE! YOU HAVE NO HEAT/AC UTILITY BILL! YOU ARE MAKING ENERGY WITH THIS 5KW SOLAR SYSTEM & THE PANELS ARE OWNED! 50 YR ROOF INSTALLED RIGHT BEFORE THE PANELS! 30X10 FLOATING DOCK! WATER BEING DREDGED THIS YEAR! 6' OF H20 RIGHT OUT FROM THE DOCK! ALL SYSTEMS UPDATED IN THE LAST 8 YEARS SUCH AS HEAT PUMP, WATER HEATER, BATHS (UPDATED WITH CUSTOM TILE FROM CEILING TO FLOOR, TUB SURROUND, VANITIES & ALL). PARKAY WOOD FLOORS, GAS FIREPLACE & WOOD FIREPLACE FOR COMFY COZY EVENINGS! WOOD FP HAS NEWER STAINLESS INSERT. UPDATED KITCHEN WITH AN ISLAND W/CABINETS & PULL OUT DRAWERS, QUARTZ COUNTERTOPS, STAINLESS STEEL APPLIANCES, GAS STOVE, SKYLIGHTS, WET BAR WITH GLASS CABINETS, COMPUTER STATION, CUSTOM GARDEN WINDOW & BEAUTIFUL TILE WORK! ALL ANDERSEN SLIDING GLASS DOORS & WINDOWS. LIVING/DINING RM COMBO WITH WATER VIEW; ANOTHER ROOM THAT CAN BE EITHER A FAMILY RM OR HUGE OFFICE OR A WORK RM! IT IS EQUIPPED WITH A GAS FREE STANDING FIREPLACE, CLOSETS, WASHER/DRYER & HUGE LAUNDRY TUB, COUNTERTOP WITH CABINETS & A WATER VIEW! ARCHITECTURALLY DESIGNED CATHEDRAL CEILINGS THROUGHOUT & BLOWN IN INSULATION FOR ATTIC. 130' FROM WATER'S EDGE - NO FLOOD INSURANCE REQUIRED!! WIRED FOR AN ADDITION...HOT TUB OR POOL. VOLUNTARY HOA $35/YR & COMMUNITY YARD SALES, CRAB FEAST, 2 LARGE PICK-UPS PER YEAR & MORE! COME HOME TO RUMSEY ISLAND!